One of the worst feelings as an owner is seeing your loved animal either sick or in pain. It is our responsibility to take care of them in need, whether that be through constant monitoring, making sure that you get the proper fluids and food, or maybe even a vet visit. One such measure may be to take your animal in to get an ultrasound. Many owners don’t know about the advantages of these machines, associating them pregnancy and nothing else. This is a common mistake that needs to be informed. In this article, you will hopefully learn more about these machines and how they work. We will discuss the expected price and when it is time to use this tactic. After all, your pet depends on you to decide when the vet is a necessary step of action. Before looking at how ultrasounds can help your dog in times of need, it is crucial to gain an understanding of how these machines are operated. The Veterinary Centers of America, or VCA, was founded in 1986 and operates over 750 animal hospitals all over the United States and in Canada. Additionally, they own over 50 veterinary diagnostic laboratories. They are well-versed in machines such as ultrasounds. According to Ernest Ward, a Doctor of Veterinary Medicine under the VCA, an ultrasound is a “non-invasive imagining technique” that allows the body to be viewed internally through recorded echoes and reflections. Ultrasounds found within veterinarian practices have become so common that even large animals are benefitting from these machines. In fact, UC Davis has a program specifically devoted to large animals where livestock is able to be healed in ways that previously did not exist. Knowing the generalities of ultrasounds are important, but how exactly are they able to see internal problems within our furry friends? How Does an Ultrasound Work at a Veterinary Office? On the basic level, an ultrasound is able to tell the veterinary staff about the condition of the internal organs within an animal, or human depending on the case. This is done through sound waves that produce an image of what’s going on inside. Let’s take a moment to look at this procedure on a more scientific level. The equipment used will direct a beam of high-frequency sound waves onto the spot that needs clarification. These sound waves are then either reflected, transmitted through, or absorbed by the tissue encountered. What exactly do these sound waves show the veterinarian? The picture that is shown on the ultrasound is actually the ultrasound waves that are reflected back in the form of “echoes”. This then allows the vets to examine the desired tissues. For an easier way to understand this machine, we have found an informational YouTube video presented by the National Institute of Biomedical Imaging and Bioengineering. In addition, you may look choose to look at another YouTube video with an ultrasound training session of a dog’s liver. These useful machines have saved veterinarians – and a lot of pets – the trouble of attempting surgery when it may not be necessary. But how is an ultrasound different from other methods? How is an Ultrasound Different from an X-ray, CT Scan, or an MRI? With so many new technologies and procedures, it is easy for someone without the proper training to become confused. In order to clear up any of these questions, we must compare an ultrasound to these separate methods. The Center for Diagnostic Imaging tries to do just that. X-rays are used to assess injuries usually involving broken bones or even diseases like tumors. This is completed through a small amount of radiation that goes through the body in order to present an image, hence the black and white images associated with medical shows. One of the key differences between ultrasound and an x-ray is that the ultrasound shows images in real-time while x-rays are a fixed picture. X-rays are also more typical in finding problems in dense objects like bones, whereas ultrasounds echo back organ tissue. When deciding which is better to use, the veterinarian must evaluate what kind of injury has taken place. A dog with a heart abnormality will be given an ultrasound compared to that of a broken bone. Computed Tomography or CT scans are able to identify more complex problems than an x-ray, though they use the same technology. These machines use x-rays in combination with computers to produce a 360-degree view of the body. A CT scan is more invasive than an ultrasound and requires the animal to be completely still during the procedure. Some veterinarians believe that ultrasounds are preferable because they offer the same accuracy that a CT scan would use without the use of x-rays. “MRI” stands for Magnetic Resonance Imaging where magnetic fields are used with advanced computer systems to provide the vet with a detailed picture of internal body structures. They are most commonly used to find problems in soft tissue, bone, and organs. When compared against each other, an MRI can do things that an ultrasound cannot, such as seeing through bones. The drawback to them, however, is that they are more time-consuming. When working with animals, it is important to work efficiently and effectively, thus using an ultrasound. Veterinarians have the proper credentials to know when it is necessary to give animals these procedures. But before that decision is made, your animal will need to go to the clinic. But how do you know if your animal is sick enough to go see a veterinarian? Some owners wait until it’s too late to take their furry friend to the vet. Dana Koch, a licensed veterinarian of Pet Coach offers a list of warning signs that indicate that your animal should see a veterinarian right away. If your dog shows any of these signs, then it could mean that they may need an ultrasound later down the road. The veterinarian may choose to use this method for a variety of reasons. Why Would My Dog Need an Ultrasound? According to Vet Info, ultrasounds can be used to find problems in different regions of a dog’s body. Let’s go more in depth as to what ways in which trained professionals benefit from ultrasounds. Ultrasounds are used to provide insight for both humans and dogs. This may be useful for an owner with an unsprayed female dog who doesn’t know what happened while she ran away. Or, it is essential in monitoring the health of the puppies inside of an already pregnant dog. When an animal goes through either liver or kidney disease, they do not show symptoms that are unique to these illnesses. To determine what exactly a dog is experiencing, a veterinarian can determine if the kidneys or liver is functioning as it should. One of the most frightening experiences for a pet owner is when they find a tumor, as it can either be cancerous or benign. To prevent the spread of cancerous cells, ultrasounds are able to identify them and set the dog up for success with an invasive surgical procedure after. Many owners do not know how common urinary tract problems are in canines. If a dog is experiencing trouble urinating, they may need to use an ultrasound. This machine can accurately identify this problem without invasive tools or equipment, leading to a quicker recovery. Though quite common in the medical community, it still can be nerve-wracking for an owner to think about Fido having an ultrasound. Plenty of questions and concerns quickly come to mind. Do Dogs Need to Be Sedated for an Ultrasound? Most dogs do not require an anesthetic when undergoing an ultrasound. The technique in itself is extremely invasive and does not require the animal to be still for extended periods of time. he only instance where a sedative might be necessary is if the animal is extremely stressed. Does a Dog’s Fur Need to Be Shaved Off for an Ultrasound? The way in which an ultrasound is used makes it necessary for the animal to be shaved beforehand. This is due to the hand-held probe that connects to the machine. It needs to come in direct contact with the skin for it to work accurately. Dogs with shorter hair, or that need an ultrasound done on the belly may not need the fur to be shaved off. If the hair is fine, the area may be moistened with rubbing alcohol and water-soluble ultrasound gel. Shaving the fur off, no matter what does yield better results. How Long Will it Take for My Dog’s Fur to Grow Back? This can be a concern for many owners as it can be embarrassing to take a dog on a walk with bald patches. The good news is that fur grows back relatively quickly, so you can expect to have a completely new dog in about 3 to 4 weeks. Should I Not Feed My Dog Before Having an Ultrasound? For certain procedures, it is customary for the veterinarian or staff to remind the owner that the animal cannot eat leading up to the vet visit. Sometimes this can be for up to 24 hours, which is painful for an owner to watch. Fortunately, the ultrasound does not require such a lengthy fast. Animals who are about to have an ultrasound are instructed to abstain from eating for 12 hours prior to the examination. With the ultrasound looking closely at the organs, food can make it difficult to see what state the animal is in. Will an Ultrasound Be Painful for My Dog? Ultrasound offers a way to see inside of the animal’s body without being invasive. This means that there is no additional tools or steps that could harm your dog. 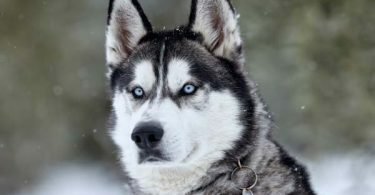 At most, your pet may experience some discomfort from the hand-held probe being cold. Can My Older Dog Have an Ultrasound? The truth of the matter is that pets of all ages can use an ultrasound. This ensures that your dog gets the help that they need without putting them in risky situations. One of the greatest advantages of performing an ultrasound is that it allows the vet to see all of the organs in real time. For some scenarios, it is common for the clinic to send the results to a veterinary radiologist for additional consultation, but the vet should be able to give you a summary after the ultrasound. How Much Will an Ultrasound Cost? Depending on the area or the specialist that you are seeing, an ultrasound can cost you a penny or a chunk of change. Dogs Health Problems lays out a few price ranges to give you a better idea of what to expect. 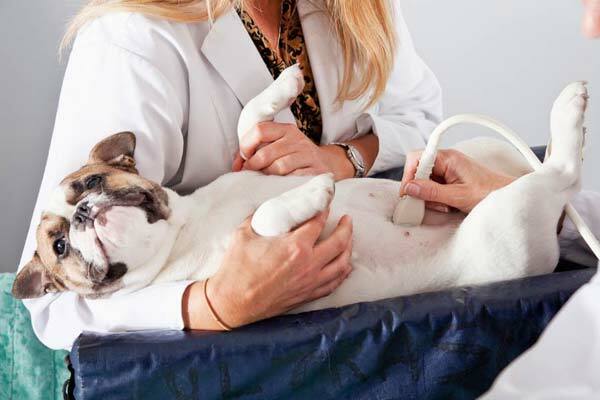 The average cost for a dog having an ultrasound can average between 300 and 500 dollars. The higher end of that range is associated most commonly with ultrasounds that are performed by specialists, such as a board-certified radiologist. Although seemingly steep to some, the cost of ultrasound should not be the determining factor when it comes to the livelihood of man’s best friend. It is an invaluable and non-invasive tool that has become preferred by veterinarians around the United States and Canada. Ultrasounds are arguably the best procedure to use when determining if there is an underlying problem in our dogs. They can be used to evaluate soft tissue organs such as your dog’s spleen, liver, kidney, pancreas, eyes, lymph nodes, testicles, reproductive organs, and even heart. 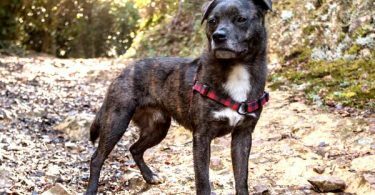 Using sound waves is an innovative way to capture images in a pain-free way, making for a relieved owner, and more importantly, a happier dog. Next time you feel it necessary to go to the vet for an unknown problem, consider asking your vet about giving your dog an ultrasound.